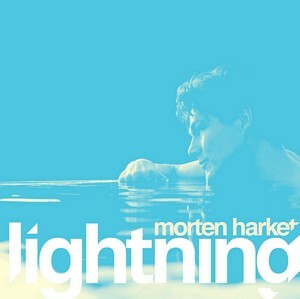 The first single from Morten’s upcoming solo album is called “Lightning” and premiered on several Norwegian radio stations today. If you haven’t heard it yet, it’s the same song as the first preview clip that was played in Rio. “Lightning” was written by Morten together with Joakim Berg and Martin Sköld from Swedish band Kent, and produced by Steve Osborne and Erik Ljunggren. I have posted the lyrics here. The collaboration with Kent was Morten’s own idea, Joakim Berg wrote in a post on the official Kent forum last week. As previously mentioned, the album will also include an English version of the Kent hit song “Kärleken Väntar” from 2002. In addition, Morten wanted to do an English version of another Kent hit from 2002, “Dom Andra”, but that was eventually dropped because of a tight schedule and difficulties in writing English lyrics that matched the original. “He loved those songs and wanted to test out English versions”, Berg says. An additional song that Joakim Berg has written together with Jonas Quant may also end up on the album. “The song is missing a stronger grip, even when the drums kick in after the first 70 seconds. Harket is only barely present in between all the electronic effects and doesn’t dominate in the way Morten Harket’s voice normally does – and should do. But what could easily have turned into a song rejected by New Order years ago, eventually evolves into an attention-grabbing earworm after all”, Østbø writes. “Lightning” will be available for download on March 9th, while the album Out Of My Hands is released on April 13th (at least in Norway).